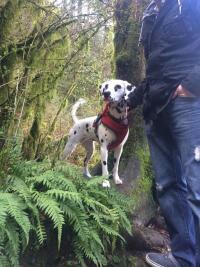 This is Pippa, a ten month old Dalmatian who just recently had an adventure from her home near Seattle Southside down to Portland, Oregon. 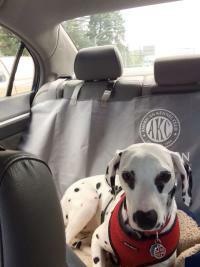 She was excited to go for a car ride and made herself quite comfortable during the 2.5 hour journey south on I-5. 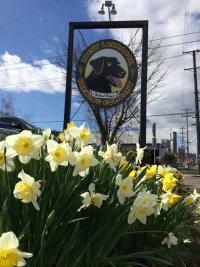 Her first stop in the Rose City was to refuel during lunchtime at the Lucky Labrador Brewing Company’s Hawthorne Brew Pub location.The Hawthorne Brew Pub was the first location that Lucky Labrador opened 1994 and it offers their traditional fare along with 12 rotating taps of Lucky Lab craft beer. This was an ideal spot (no pun intended) to stop with a four-legged traveler because the pub has a covered outdoor seating area for patrons to enjoy food and a pint with their canine companions. 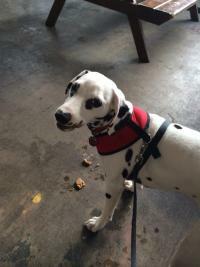 Plus, to Pippa’s delight, they had some specialty dog biscuits for purchase! 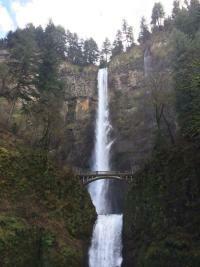 From there, Pippa rode in the car and ventured east on I-84 for about 30 minutes to visit the breathtaking Multnomah Falls. 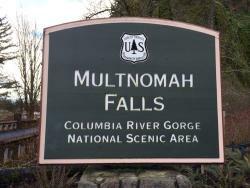 This drive featured picturesque scenery of the Columbia River Gorge, Mt. Hood, and various waterfalls. 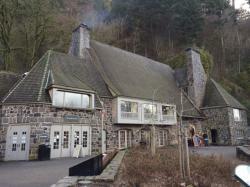 Once she arrived at her destination, to the convenience of her owners, there were restrooms, a restaurant, a gift shop, and a visitor center all on site as part of the Historic Multnomah Falls Lodge; which was most charming to look at with its wooded backdrop. Multnomah Falls is a two part waterfall that plummets a total of 620 feet, with the upper fall plunging 542 feet and the lower fall 69 feet; this distance earns Multnomah Falls the distinction of being the highest waterfall in the state of Oregon and second highest in the nation. Even a fun-loving puppy, which spends a good amount of time chasing her tail, can pause and appreciate that natural wonder! 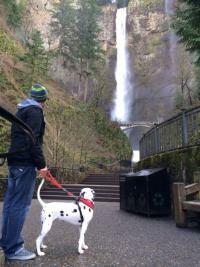 Multnomah Falls Park is a dog friendly location for an easy and enjoyable hike and it offers a continuous view of the falls. 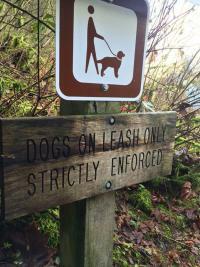 If you are planning to bring your pooch for a visit, please take note that dogs must be leashed at all times and owners should clean up after them so as not to disturb other hikers. Now, the question is, where will Pippa go next…? 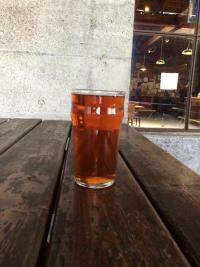 For more fun day trip ideas from Seattle Southside, visit our website’s Day Trips blog page.